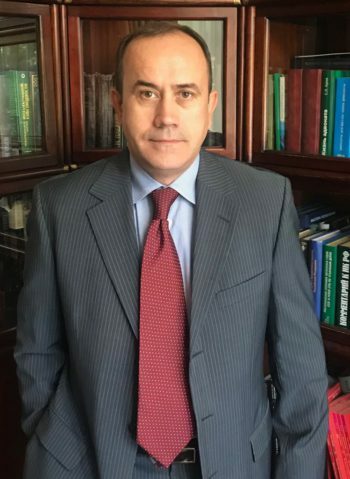 The lawyer of the International Bar Association “Law firm” Levant and partners “. Graduated from the Moscow State Academy of Law in 1994. The status of a lawyer was obtained in 1996, was suspended for a short time due with an invitation to public service. Total legal experience over 25 years. Has a successful practice of law cases in arbitrary courts, courts of general jurisdiction of all levels. Represents the interests of entrepreneurs in various state institutions and law enforcement agencies, including the protection of the rights of owners and managers of companies, their affiliates from possible criminal and administrative prosecutions. Replacing a public position, he participated in the development of drafts of normative legal acts, including drafts of federal laws and drafts of normative legal acts of the executive authorities of the federal level and the level of subjects of the federation. He has extensive experience in legal support and corporate law, mergers and acquisitions transactions. He specializes in the conduct of criminal cases of economic orientation, official crimes, as well as especially grave crimes against a person.